The final step in making custom draperies is hemming each panel with a hem that finishes the edge but also adds weight to help the drapery hang well. A deep, double-turned blind hem is the answer. Step 1) Turn the lower edge of the drapery 3″-4″ to the wrong side and then turn it up again, completely enclosing the lower raw edge. 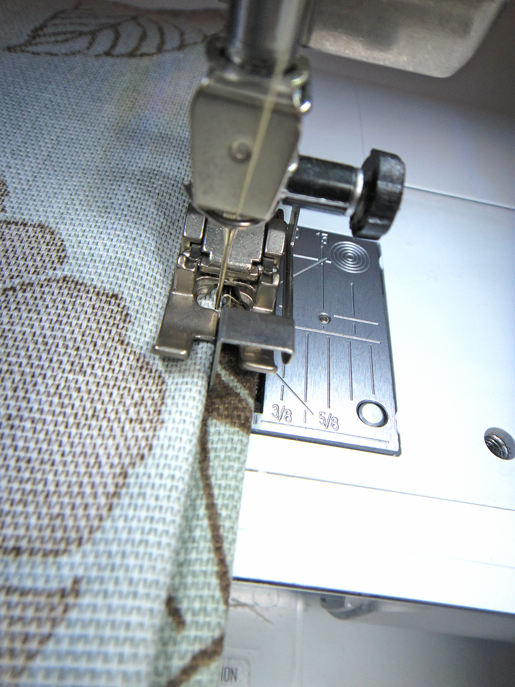 Machine baste the hem in place about ¼″-⅜″ from the folded edge of the fabric. Step 2) Lay the drapery wrong side up on the bed of the sewing machine. Fold the hem under to the right side, exposing the lower (folded) edge of the fabric. Position a blind hem foot, such as BERNINA Blind Hem Foot #5, with the center guide against the fold and stitch the hem. Step 3) Select the blindstitch from your sewing machine’s stitch menu. The stitch will sew along the folded edge of the hem allowance, taking an occasional zigzag stitch into the drapery. If needed, adjust the width of the stitch so the needle barely pierces the drapery. The stitching should just barely show on the right side of the fabric, but must catch enough of the fabric to hold the hem in place. Tip: Most sewing machines come with blind hem feet; check your sewing machine manual for more information on the feet included with your machine. For blind hem feet with movable guides, adjust the guide so the needle stitches close to the folded edge during the straight stitch portion of the blind stitch, and just pierces the fabric for the zigzag stitches. Step 4) When the stitching is complete, remove the basting stitches and press the hem. 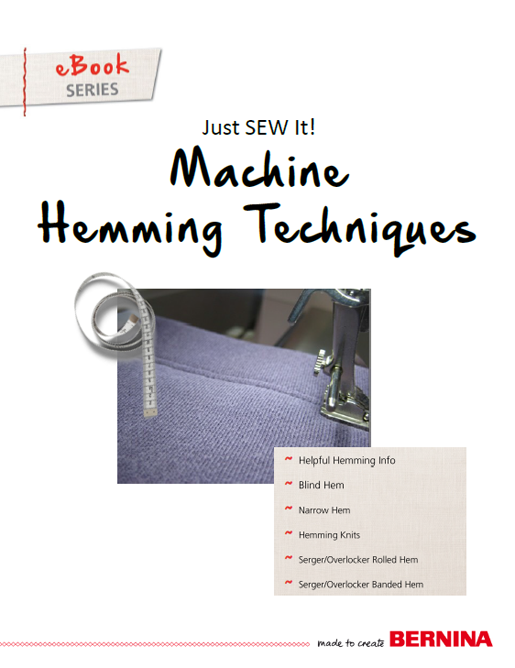 For additional sewing machine hemming techniques, click HERE to download the BERNINA eBook, Machine Hemming Techniques.